The people who use Federal buildings — Federal employees, operations and maintenance staff, and the general public — can significantly impact a building’s environmental performance and the consumption of energy, water, and materials. Many factors influence building occupants’ use of resources (use behaviors) including work process requirements, ability to fulfill agency missions, new and possibly unfamiliar high-efficiency/high-performance building technologies; a lack of understanding, education, and training; inaccessible information or ineffective feedback mechanisms; and cultural norms and institutional rules and requirements, among others. While many strategies have been used to introduce new occupant use behaviors that promote sustainability and reduced resource consumption, few have been verified in the scientific literature or have properly documented case study results. This book documents validated strategies that have been shown to encourage new use behaviors that can result in significant, persistent, and measureable reductions in resource consumption. 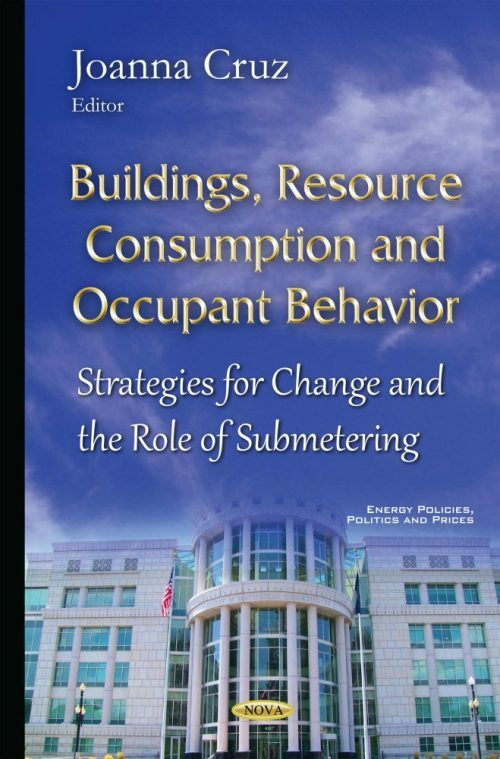 This book also presents guidance and recommendations on the benefits and complexities in the use of submetering technologies for new and existing buildings.